My name is Samantha Gomersall. I am a English woman currently living in Hangzhou China. 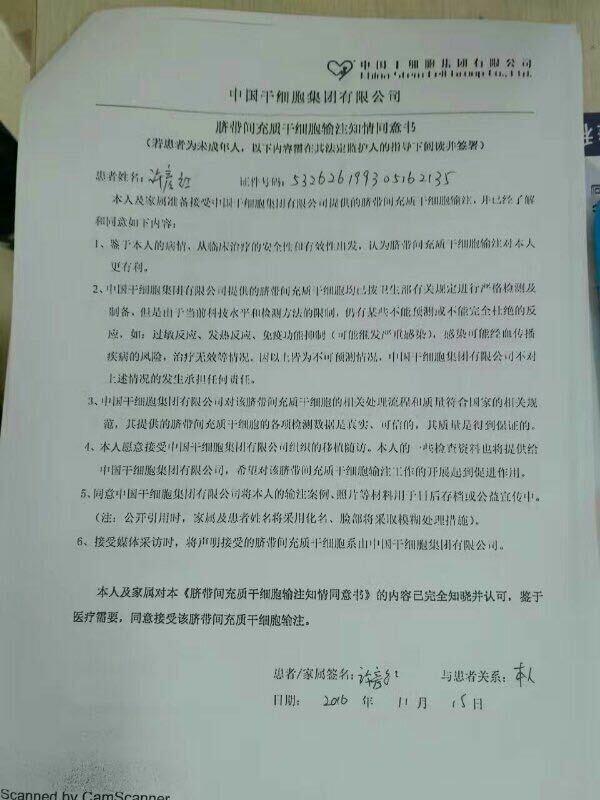 Recently a story hit the news here, a young woman offering to sell her virginity to help raise money for her brothers acute lymphoid leukemia treatment, please see the attached links from the Shanghaiist.com (a local news site aimed at ex pat readers) http://shanghaiist.com/2016/11/15/selling_virginity_for_cancer_treatment.php . 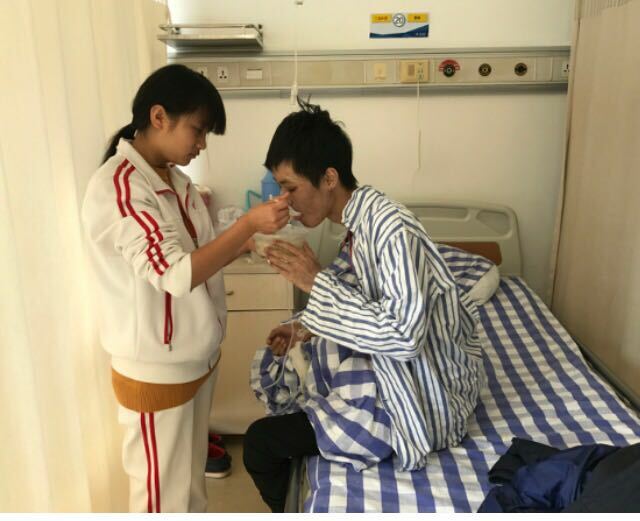 Although Xu Yanhong has had much interest and help from the local people here in China, he still needs to raise over another £9000 (90,000 yuan) for his on going treatment. I am in touch with the brother and will be interviewing him this weekend to tell his story (I will post the video when completed). 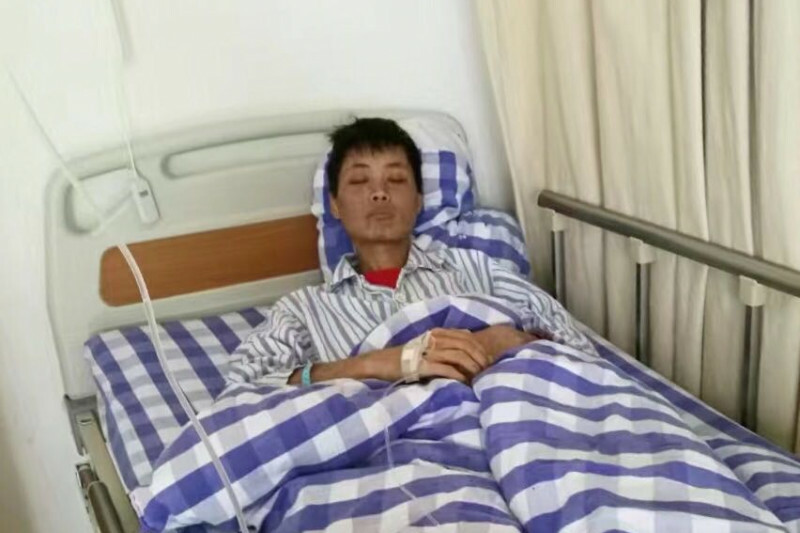 He is a loving guy who just wants to cover his medical expenses so that his family do not have to sell their belongings or their bodies to keep funding his treatment. 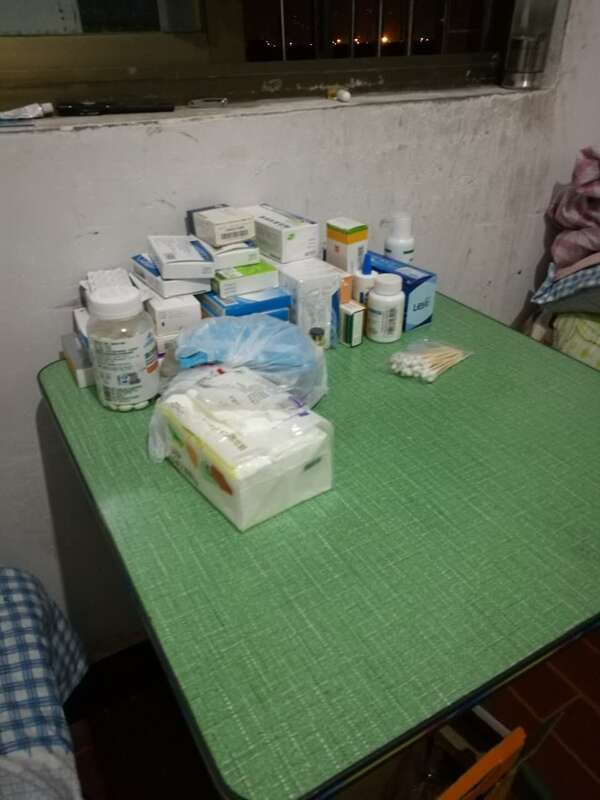 His family are from a more rural area of China and the medical expenises are high. 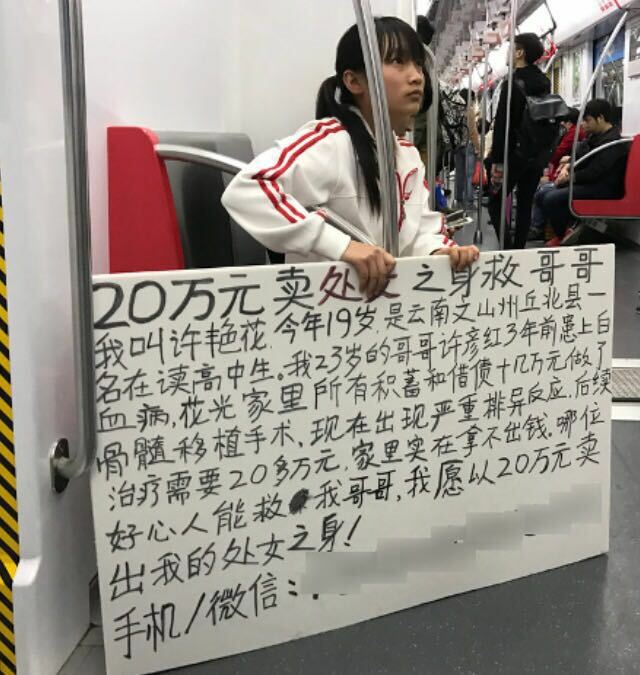 His sister used a sign offering to sell her virginity on the Hangzhou metro, she is 19 years old, and does not live in Hangzhou, she travelled her alone to try raise the money. He has improved a little after some help to buy his medication, but he still has a long way to go. If his funding runs out he will die. He has all the official documents to prove his case. This story is close to my heart, as having a older brother who I love deeply, and a sister who has had many serious heart conditions herself, and was saved only by the fact we grew up in a country that provides free healthcare. It made me wonder if I would do the same for my own brother. I concluded I probably would. We are looking to raise the money as soon as possible, as obvioulsy his treatment is high priority. Him and his family would be extremely grateful for any donations to help him to recover, every small donation will help him to buy medicine and cover doctors visits. I will keep you all updated with videos and pictures of his story and process. I hope it touches yours. 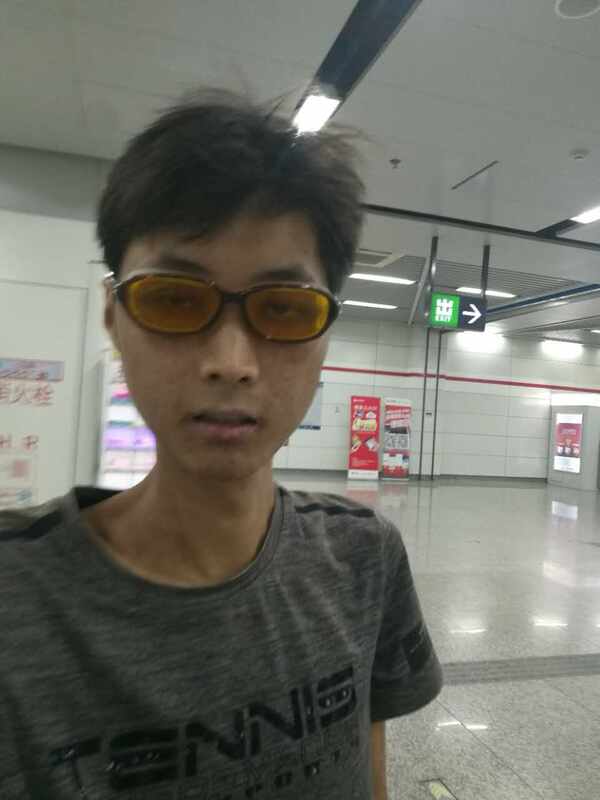 Xu updated me today, he is doing well. He is more active and feels better in himself. He is still going to the hospital and having treatments. 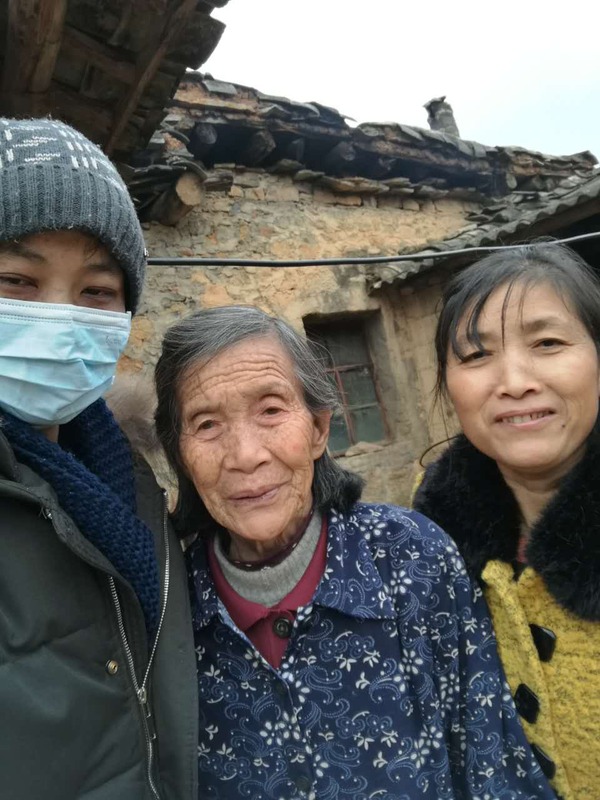 After his struggle with chest infections and sickness last winter, which slowed down his recovery process he is feeling much better and ready to continue fighting! Hi all, a small update, Xu is now out of hospital after recovering from pneumonia. I will be giving him the money we've raised in the first week of the new year. We are so close to our target, but we really need the last £2,500, every little helps, even if its just £2. Thank you for all your support. 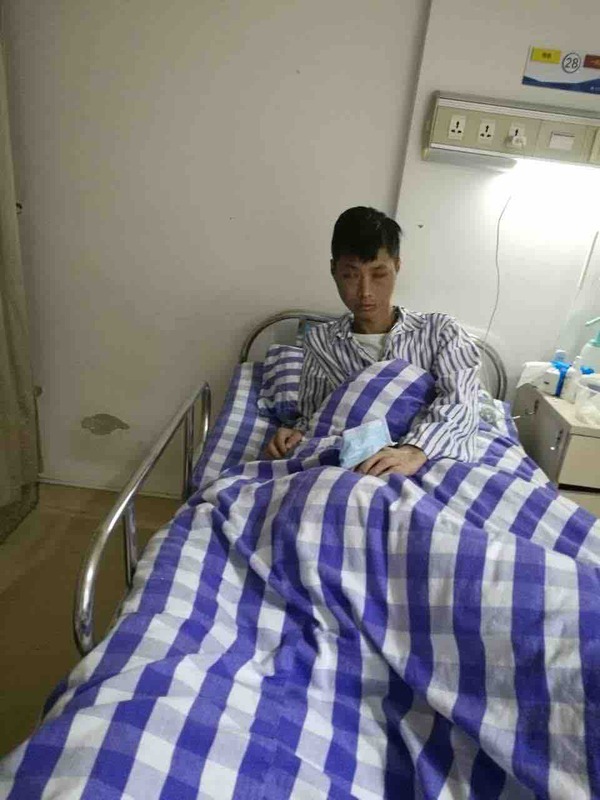 Unfortunately Xu Yanhong is still in hospital fighting pneumonia. He says he's progressed a little with the medicine they give him, but this just adds to his ever growing medical bill. This is why your donations are so important and so appreciated, thank you.